Potatoes are my absolute favorite thing in the world. 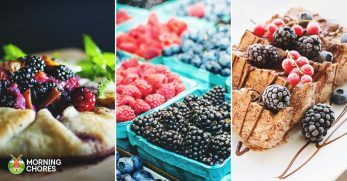 I challenge you to find a food that is more versatile. 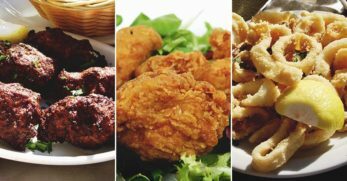 From soups to side dishes, from chips to cheesy, potatoes can do it all, and they taste amazing in any way, shape or form. They are also incredibly easy to grow. They will grow pretty much anywhere, and one plant will keep giving you a harvest year upon year. 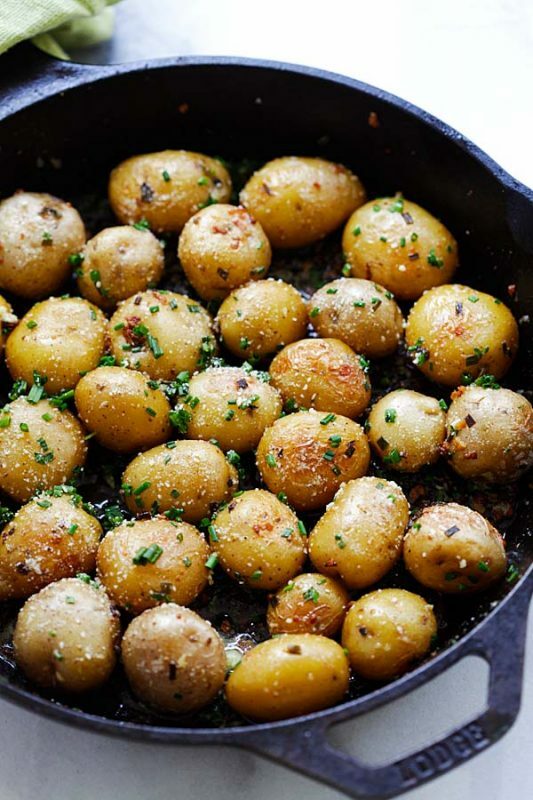 So whether you're looking for a full meal or a tasty accompaniment to a dish, potatoes are there to help you out, and the possibilities are extremely close to endless. 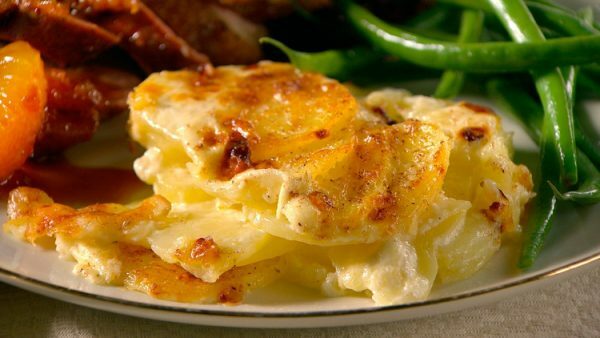 This potato and leek gratin would be perfect to serve up over the festive season when cooking for many people. 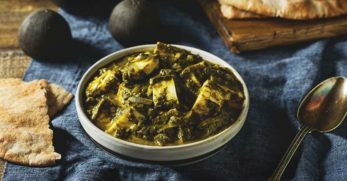 It's bound to be a crowd pleaser, and with the recipe being hassle free and the flavors not being too strong, it'd go well with anything you wish. 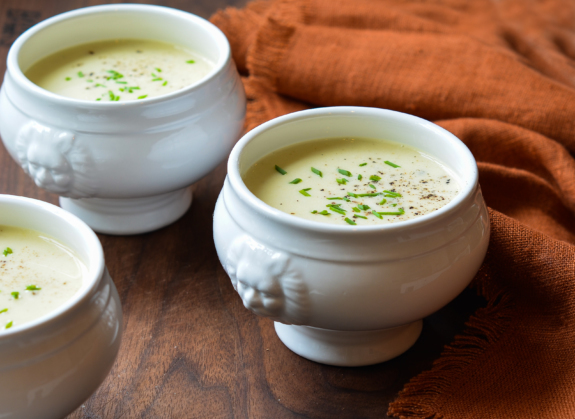 Soup is one of my favorite winter dishes of all time, either to cozy down with or to pop into a flask for some on-the-go warmth. 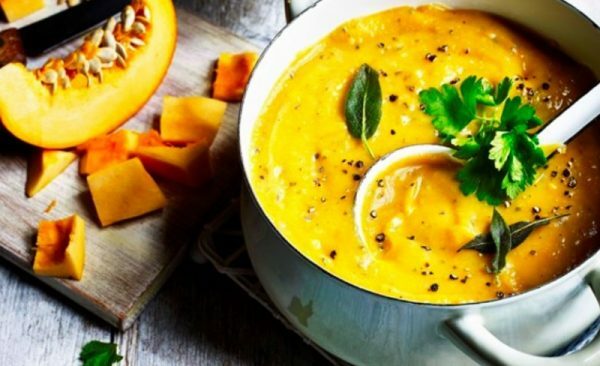 I absolutely love the look of this potato and pumpkin soup, with its bright orange color and autumnal flavors. I have a feeling this might become my new favorite for this year. 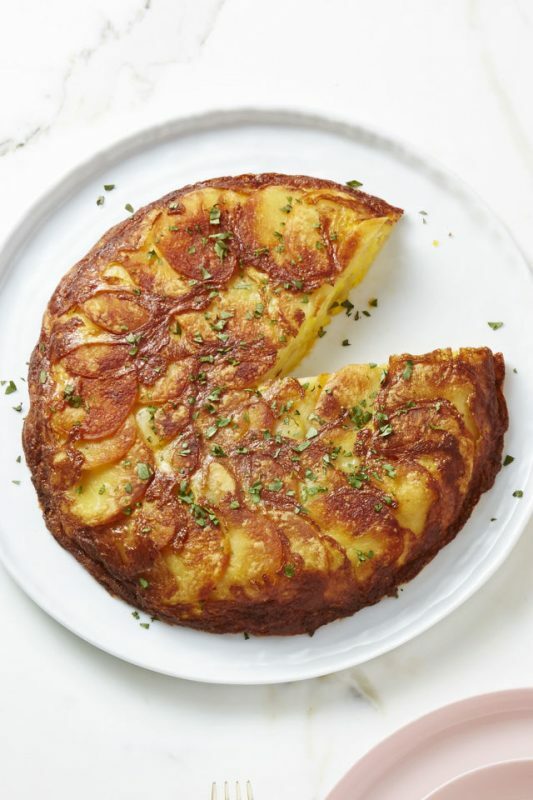 Omelets themselves are pretty fantastic but when potatoes are added to the mix in this Spanish potato omelet recipe, they are elevated to the next level. 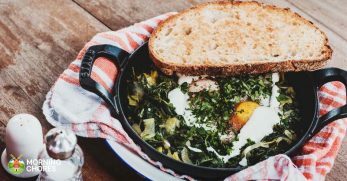 This would be perfect for a breakfast or lunch treat, or even as a side dish. 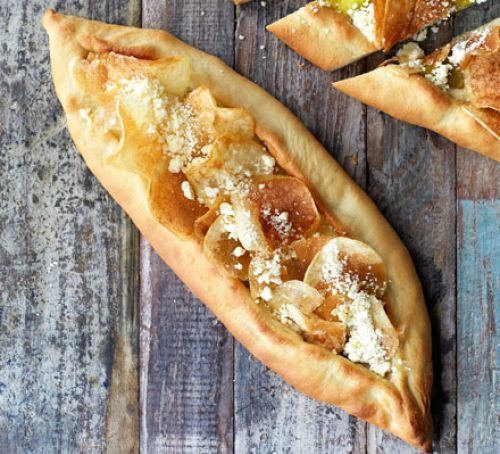 I had never heard of a pide before, but after seeing this recipe I am desperate to give them a go. 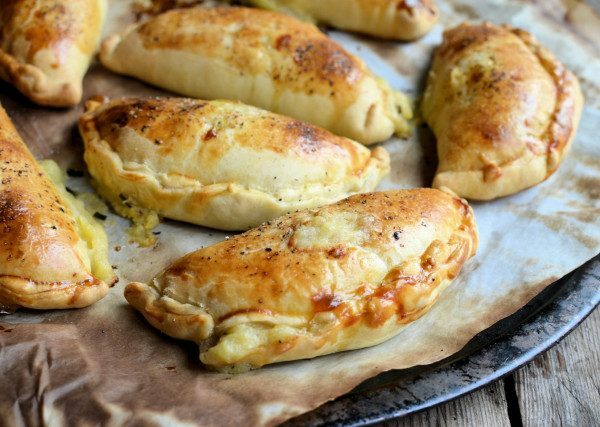 Leek and potato are a classic flavor combination which can only be made better by the one and only cheese, so this cheese, leek and potato pide sounds like a flavor sensation. 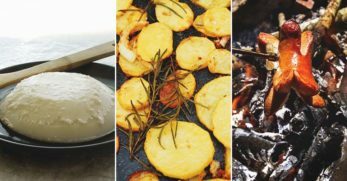 Fondant potato always sounds like a real luxury, but this recipe makes them simple, and now you can easily achieve that feeling of a posh restaurant in your own home. 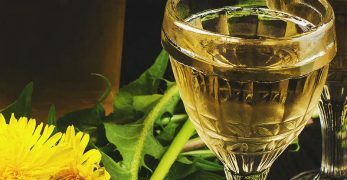 On an even better note, they would go well paired with any meat or fish dishes. This is one of the few situations in life in which I think I would struggle to eat potatoes. 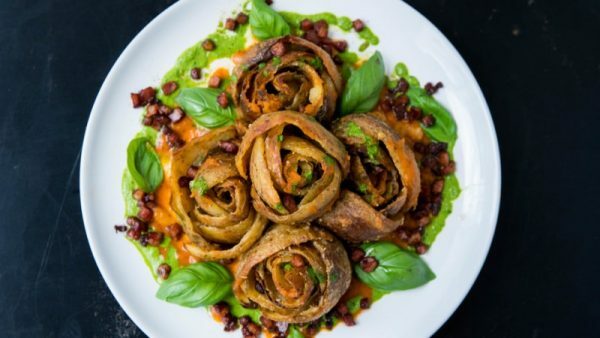 These potato skin roses just look too pretty to destroy. These would look so impressive at a dinner party, and your guests' social media accounts would be flooded with your handiwork. 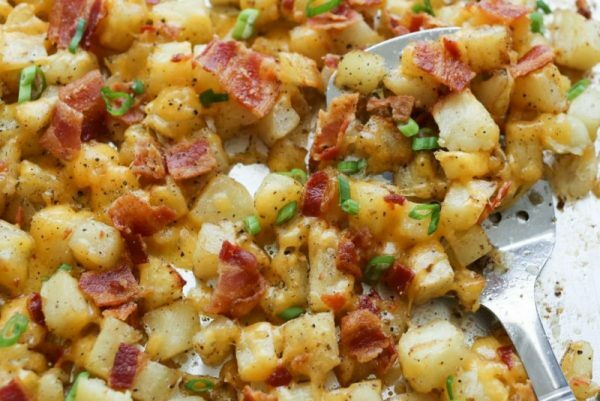 Anything topped with cheese and bacon is instantly going to make mouths water, and I have no doubt that these smashed potatoes would do just that. I have to be honest, I am not sure what the effect of smashing the potatoes has on them, but that just gives me even more of a reason to try them out. Classic. 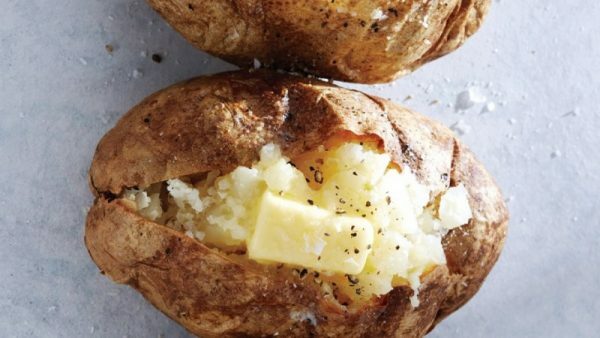 Baked potatoes are a failsafe meal any time of the day, any time of the year. 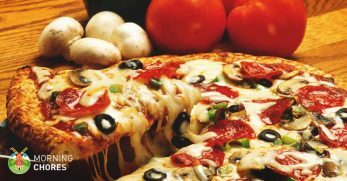 There are so many options of toppings that it'd probably be easier to list the things that you couldn't top them with. 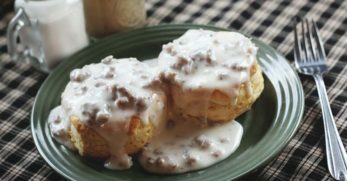 This recipe does claim to be the perfect one, but it really is pretty difficult to go wrong with them. 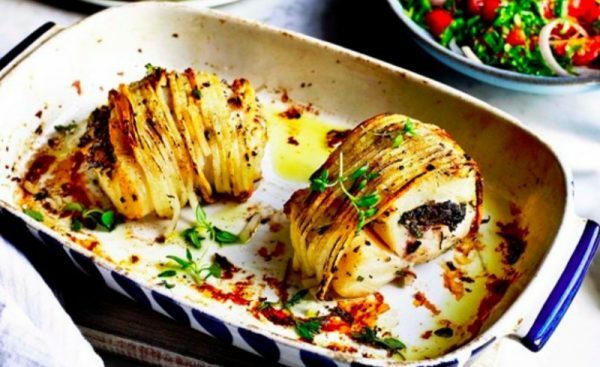 Spiralizing is a trend wagon that I have not yet hopped onto, but going by the look of this spiralized potato wrapped cod, that is definitely going to change in the very near future. Fish and potatoes are two of my favorite things, and this looks like such a fun way to eat the two together. 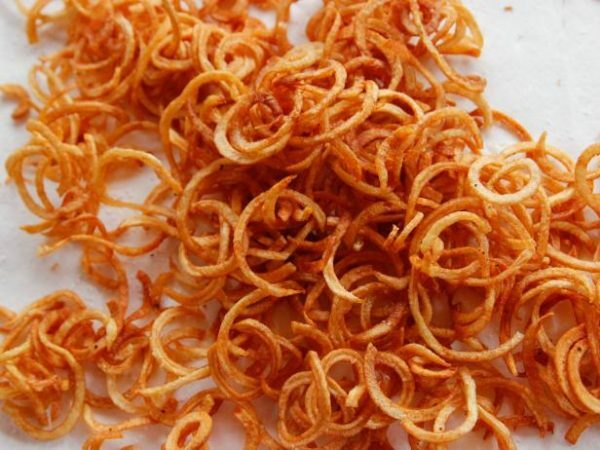 Curly fries used to be the coolest thing when I was younger. If your mom served them up on a Friday night with some processed chicken nuggets, you knew you had done something good that week. These are a fun alternative to normal fries, and their thinness would even make them a great snack. 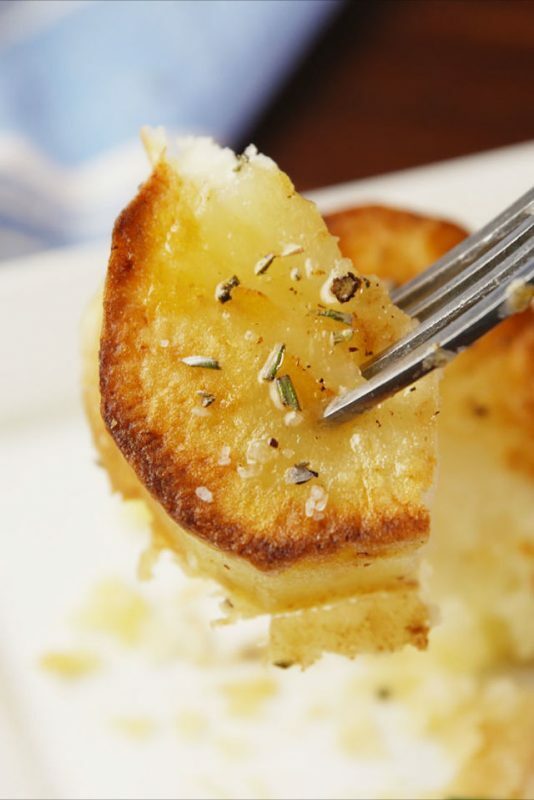 There are so few ingredients involved in making these parmesan crusted potatoes that they would be easy to whip up as a last minute side dish or even as a lunch or a snack. I can just imagine the crispy cheesy outside giving way to the soft fluffy inside as you bite down on them. 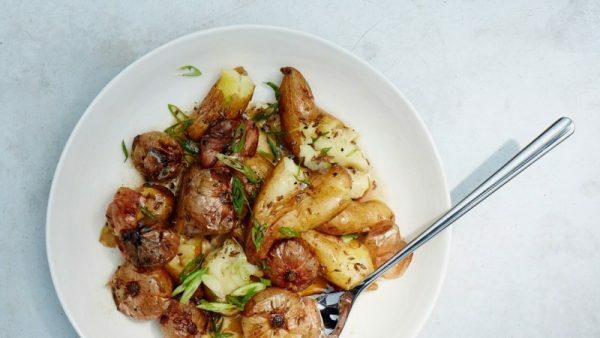 These garlic chive butter roasted potatoes look like such a lovely alternative to classic roasted potatoes. One of the things I miss most when I'm away from home is my dad's roast dinners, and even though they can never be replicated, maybe these will give me a little taste of them. 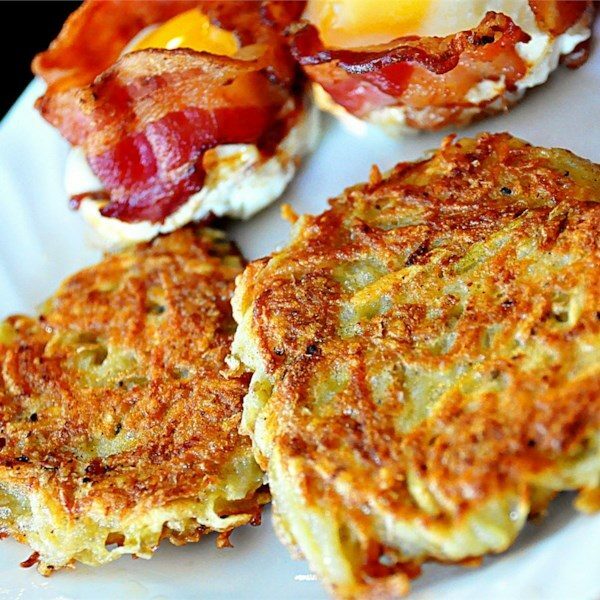 I have never heard of or made potato latkes before, but they look delicious and simple to make. 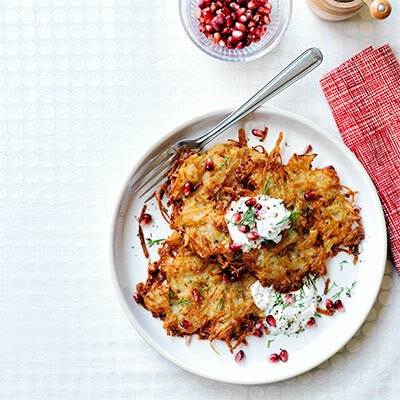 I love that this recipe gives some examples of toppings that go well with the latkes, and of course you can build on them and create your own. 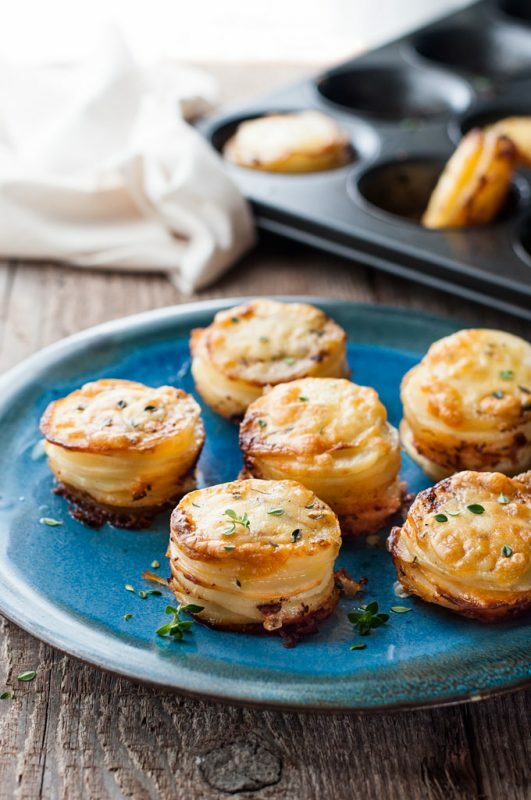 If you asked me to describe my ideal snack, I would probably describe something extremely similar to these cheesy mini potato gratin stacks. 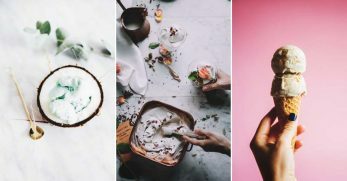 Every single ingredient belongs with the next, from the cheese to the cream to the potato, and I will definitely be serving these up as a holiday snack this year. 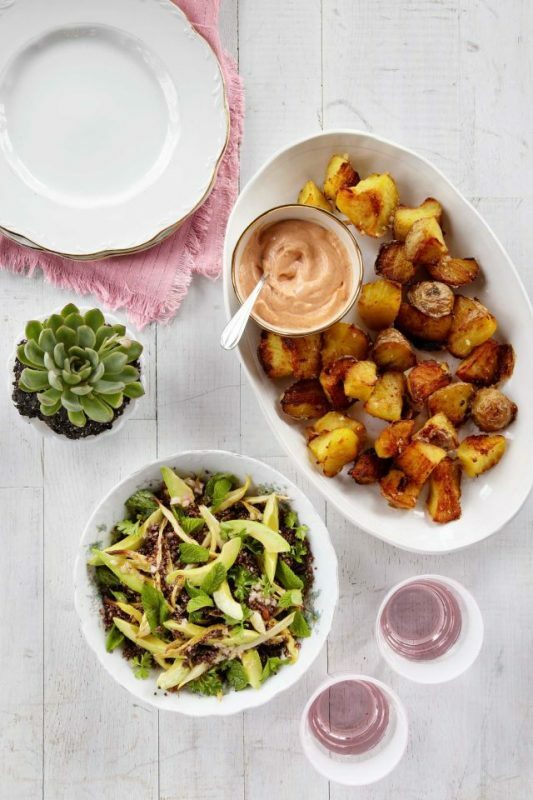 Anything with Spanish inspired flavors gets an instant thumbs up from me, and these potatoes with paprika mayo certainly match that. Potatoes go so well with mayonnaise as it is, and the addition of the paprika just gives the whole flavor combination an extra kick. 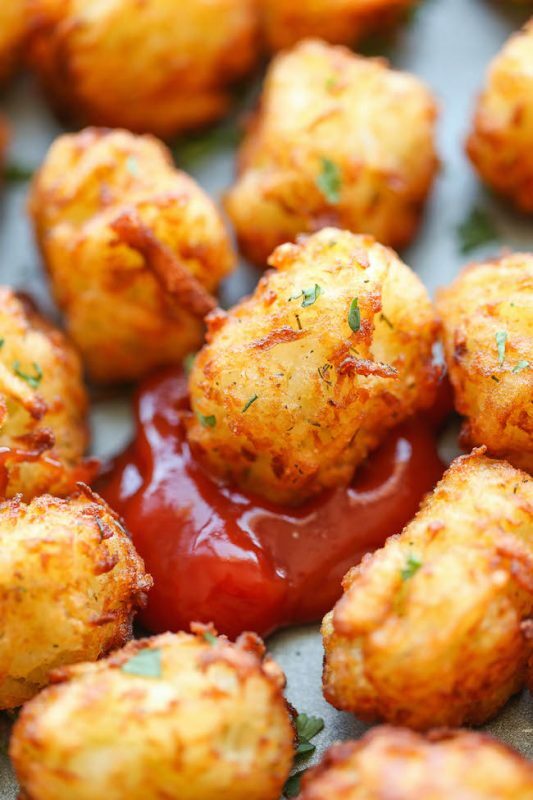 Everyone agrees that you can't beat a good tater tot and what better way to achieve the best than to make them yourself. They're easier to make than you think, and this way you can be perfectly sure of exactly what you're putting into your kids' mouths. 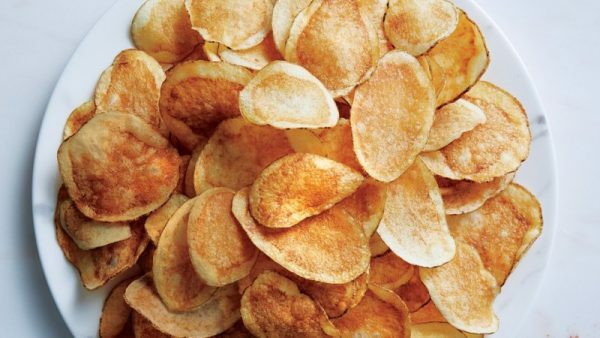 I have never attempted to make my own potato chips purely because I thought it unachievable, but this recipe for the crispiest potato chips has changed my mind on that. 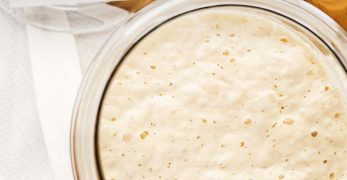 This recipe leaves the flavor choices completely up to you, so you could opt for a classic salt or change it up with something like paprika or malt vinegar. The part of a pork roast dinner that always disappears first in my family is always the crackling, so I know for sure that this crackling potato cake would go down a treat. 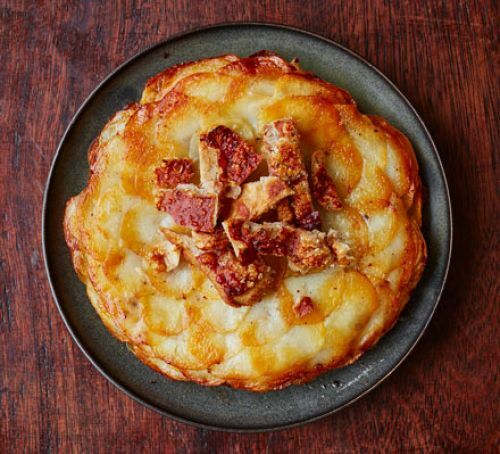 Of course, if meat isn't your thing you can leave out the crackling, and have a delicious potato cake side dish. 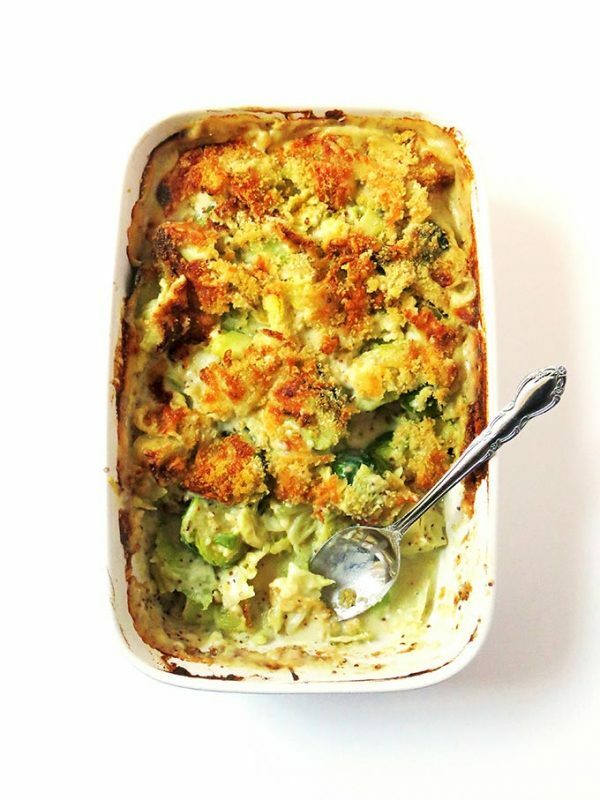 This vegetable gratin looks like the perfect winter warmer, with its bubbling cheese and breadcrumbs on top of layers upon layers of potato and vegetable goodness. An easy weeknight dinner to make at short notice, which is bound to satisfy rumbling tummies. 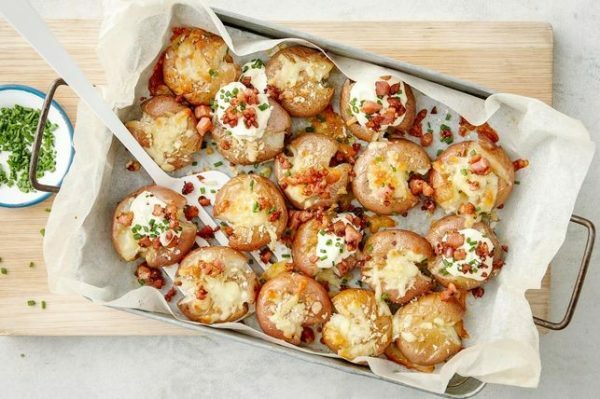 The rustic look of these cheese bacon potatoes is one of the things I love about them. 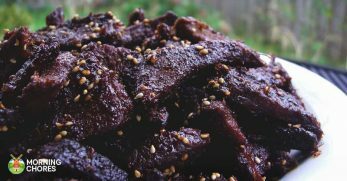 The long slow bake gives you that contrast between crispy corners and fluffy middles, an absolute delight to chow down on. Pasties are such a convenient thing to make, as they serve as a perfect lunch or snack, hot or cold. For those of you who don't know, a pastie is a little folded over pastry pocket filled with goodness. If you've never tried one, these cheese, onion, and potato ones would be the perfect place to start. Even just the sound of potato and leek soup warms my entire body. 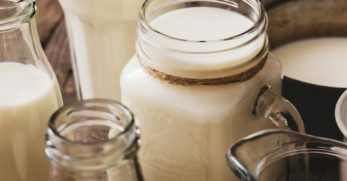 This is such a classic, I feel like so many people have their own recipes and variations on the recipe, but I personally love this one for its creaminess and all-around yumminess. Potato salad doesn't necessarily come to mind when preparing dishes in the colder months, but I beg to differ that idea. 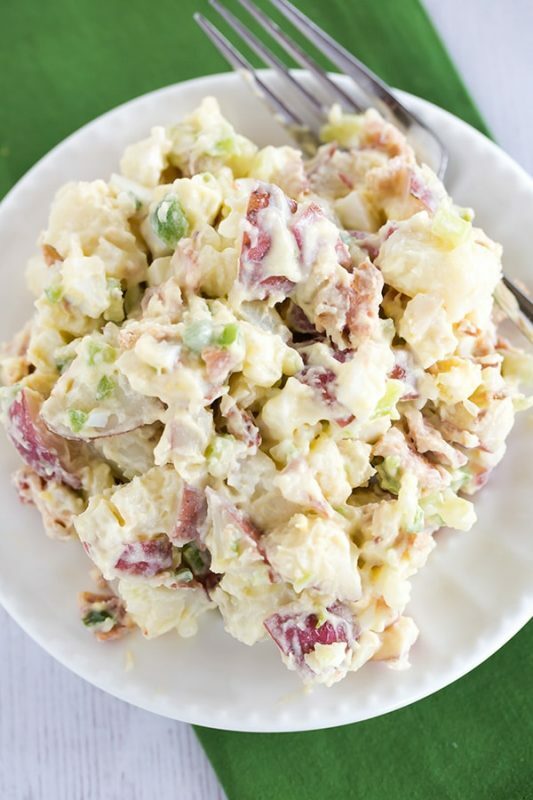 For the days of leftovers that follow big festive meals, potato salad is not only delicious but also easy to serve up as an accompaniment. 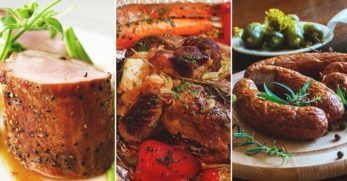 The recipe is so easy to adapt to your own preferences and to those of your guests. Trust me, don't knock it until you try it. 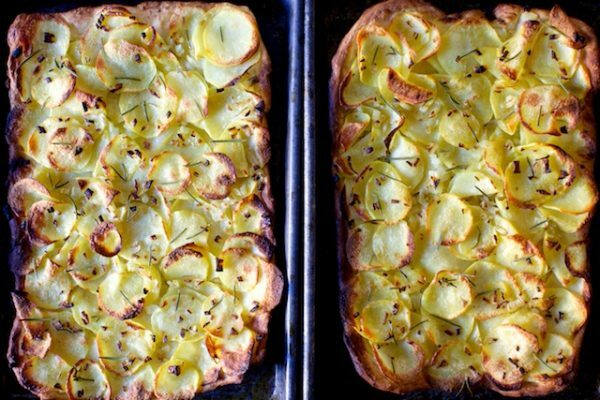 Potato pizza, it's a carb upon carb masterpiece. The first time I opened a pizza box and saw potatoes inside I was both in France and confused, but I can confidently say that I have never looked back since. 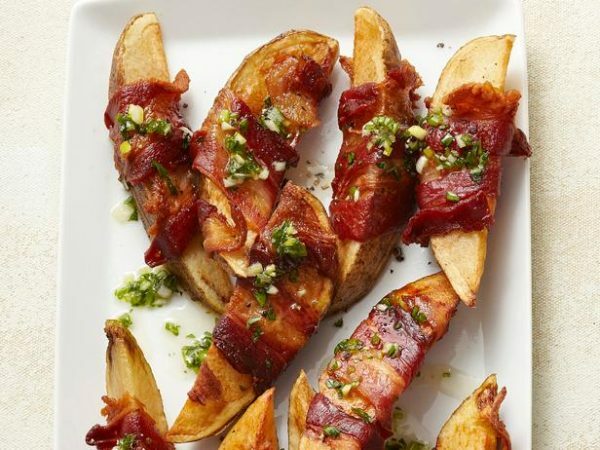 These bacon wrapped potatoes with honey sauce quite literally have me drooling, and I would be very surprised if you aren't too. The salty bacon with that sweet honey all wrapped around the almighty potato, need I say more? Imagine serving up a spread of potato skin burgers at a holiday party. Your guests would go absolutely wild. 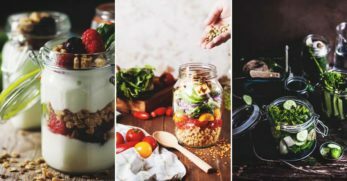 I am desperate to try these out, they are such an innovative idea, and I love the fact that you could add your own favorite burger toppings and sauces to give them a personal touch. 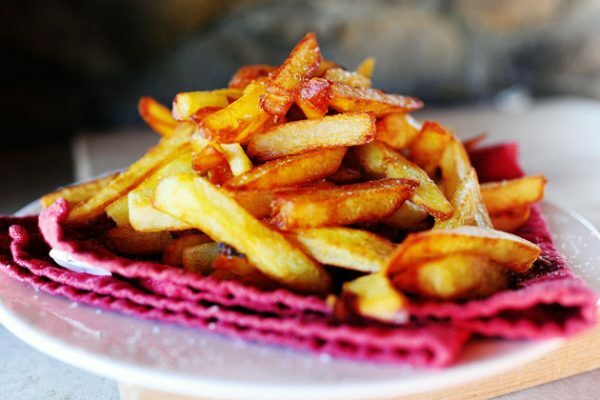 A lot of people's favorite potato form is the french fry, and it is not difficult to understand why. Each person has their own idea of the perfect french fry, mine is right in the middle between chunky and skinny, crispy outside with a fluffy interior, and smothered in a whole load of ketchup. 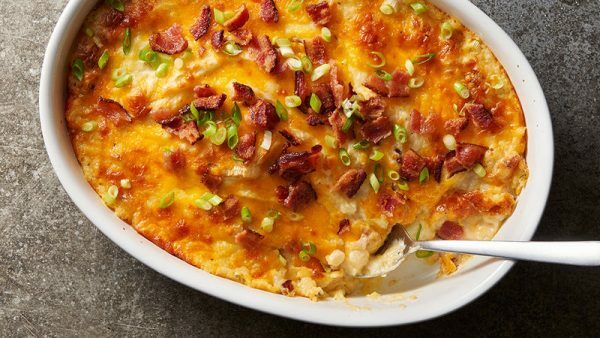 This loaded baked potato casserole looks like a bowl of something that I would quite happily dive headfirst into. It certainly doesn't spare you any calories, but I doubt that thought would even cross your mind while tucking into this hearty meal. 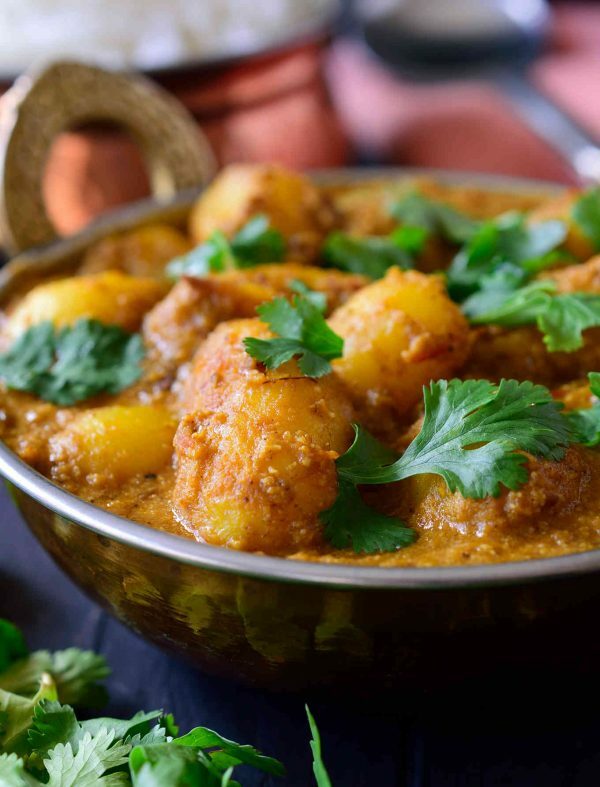 Recently I have really been getting into non-meat curries, so when I stumbled across this spicy potato curry I knew that I wanted to give it a go. 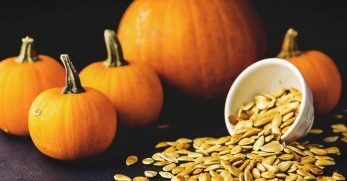 You could also experiment with this recipe, adding other root vegetables like squash or pumpkin. 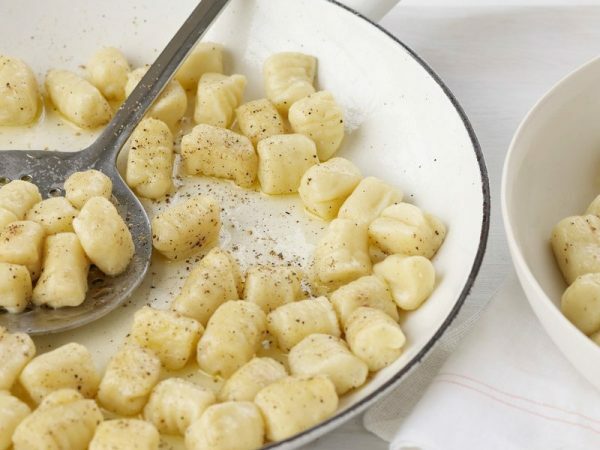 Potato gnocchi is a great alternative to regular potatoes or pasta when you want to change it up a little bit. This recipe mixes the gnocchi with simple butter and cheese, but there are endless ways of flavoring the gnocchi, from tomato sauces to pesto. 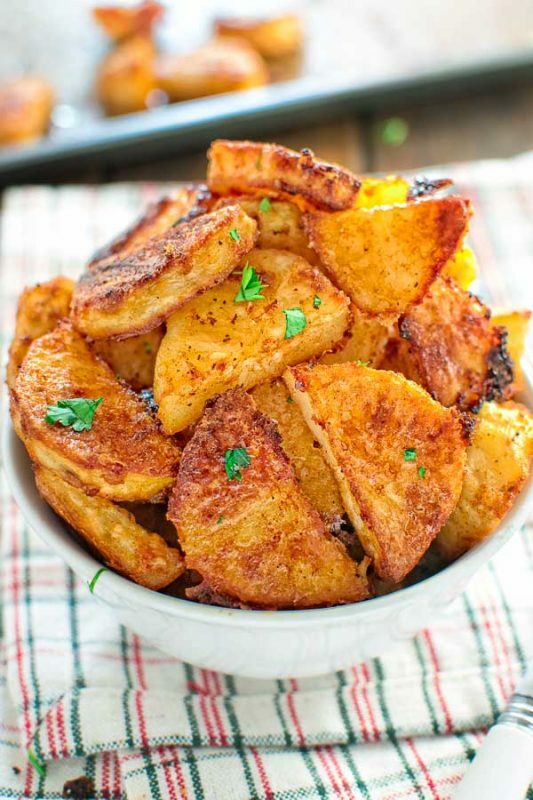 Potatoes in any form are a winner for me, but roast potatoes are up there with some of my absolute favorites. I would happily eat them at any time of year, but in the colder months with a big Sunday roast, drowned in gravy, they are my idea of taste heaven. I can't say that smoked potato is a concept that I have ever heard of, but it is also not something that I am against trying out. 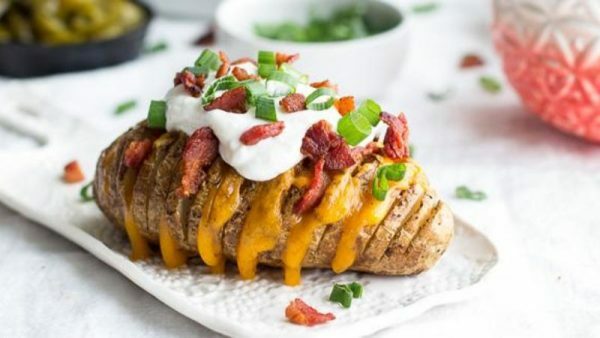 I can imagine that the smoky flavor would add a little something to the potatoes, and the slow cooking would achieve that smoky inside that everyone loves. My childhood consisted of my mom telling my grandma off about how much cream and cheese she would pile into our mashed potato. I absolutely loved it and looked forward to going to her house just for that heavenly mash. Now that I cook for myself, I am going to start making cheesy mashed potatoes for myself every night, and my mom won't be able to stop me. This one is taking me all the way back to Scotland. 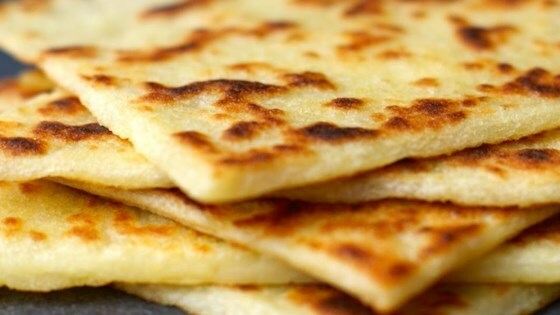 Potato scones are an essential part of a full Scottish breakfast, whether they're in a soft bread roll with sausage, or smothered in baked beans and eggs. It baffles me that they are not yet world famous because once you've tried them, you won't remember your life without them in it. I remember the first time I saw a Hasselback potato in the world of Pinterest and I was desperate to try one myself. I am proud to say that it turned out pretty great. 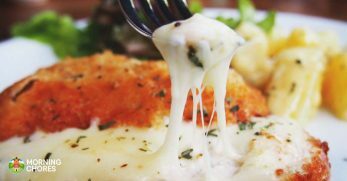 I like this specific recipe with its cheese oozing out between every layer, and that sour cream acting as a coolant on top. 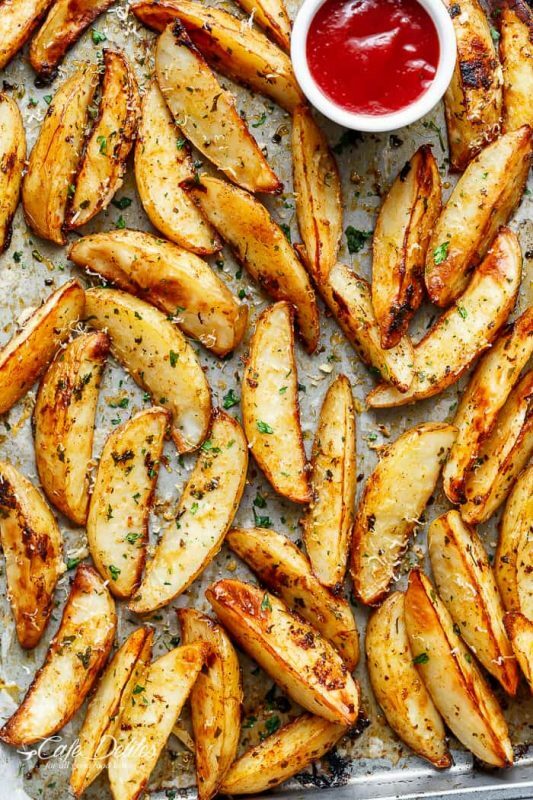 These garlic potato wedges are an easy but still tasty side for any weeknight meal. 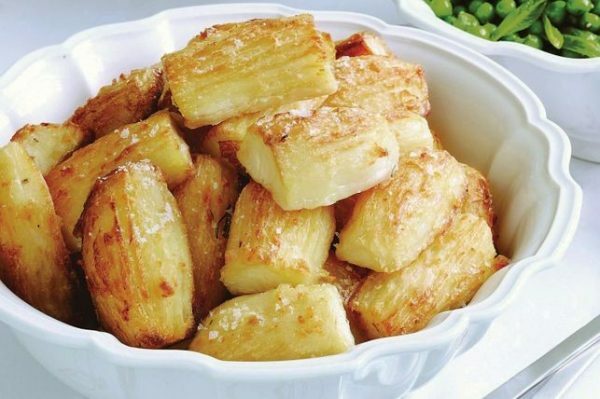 Wedge, in general, are great because they are an alternative to fries, which are more fiddly to cut, or plain boiled potatoes, and all you need to do is roughly chop them and bung them in the oven. When in a restaurant, I will order pretty much anything if it is served with potato dauphinoise. I absolutely love it. 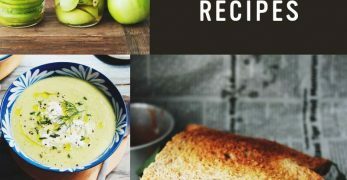 This recipe looks so much easier than I expected, so I am definitely going to start making them myself at home so that I can branch out a bit when in a restaurant in the future. 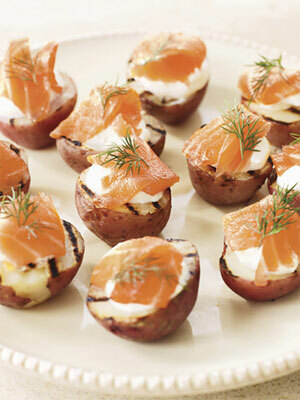 I am always looking for new appetizer ideas around this time of year, and I really like the look of these potato halves with smoked salmon and dill. Smoked salmon is usually used in more fancy appetizers, so I love the fact that this recipe has taken that and made it more suitable for a less upscale gathering. 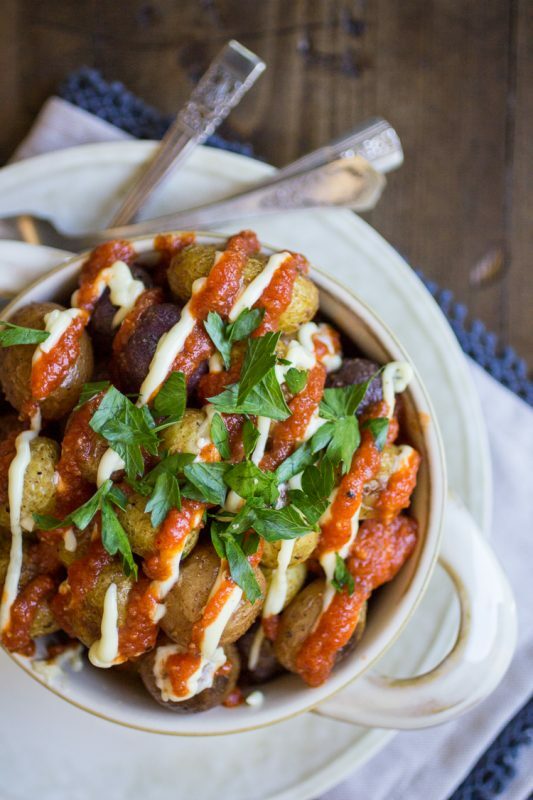 Spanish tapas is one of my favorite things to eat, and patatas bravas just happens to be one of my favorite dishes. No surprises there. 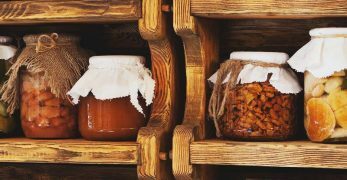 This recipe looks easy to replicate, and I am so excited about the idea of transporting myself back to holidays on the Spanish coast in my very own kitchen. Hash browns are a crowd pleaser on a Sunday morning, especially served with all the trimmings and a good squeeze of ketchup. To add your own spin on this recipe, you could add some grated cheese or bacon pieces into the mixture. As a lunch, appetizer or snack, potato skins always taste amazing. 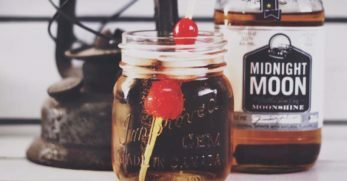 Of course, you can fill them to the brim with whatever you like, but I love that this particular recipe gives you not one but four different ideas. We are absolutely spoilt for choice. 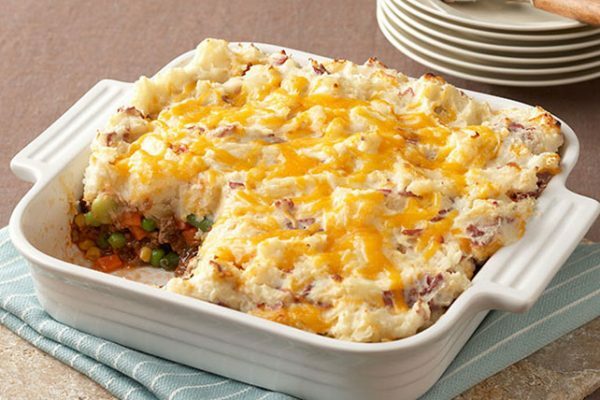 The ultimate comfort food, you can't really go wrong with a good old shepherd's pie. 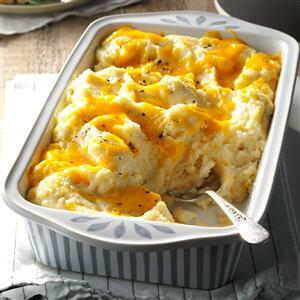 That layer of crispy mash on top just makes it, and of course the optional melted cheese. Just as a tip, shepherd's pie is a great way of getting kids to unknowingly eat their vegetables, I know it certainly worked on me when I was little. 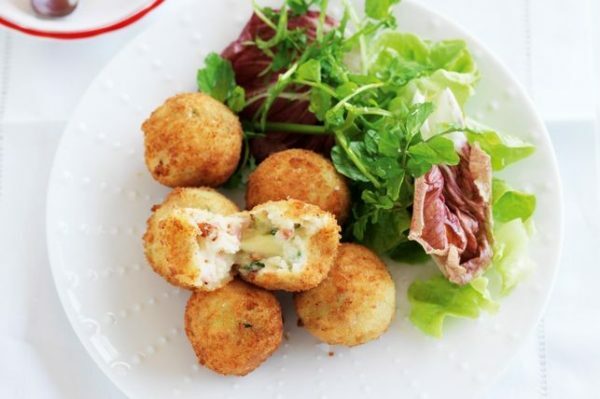 These little bacon and cheese croquette are so sweet, and the perfect size to just pop into your mouth. 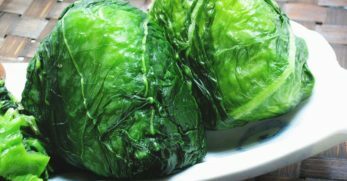 I love eating them with a sour cream dip to mellow out the rich flavors of the bacon and cheese. 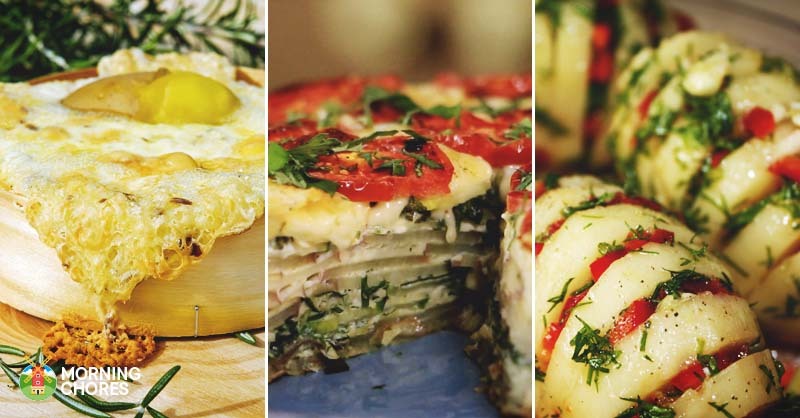 So now that you're hopefully as obsessed with potatoes as I am, I bet you can't wait to get into the kitchen and try out some of these new recipe ideas. I know I can't. 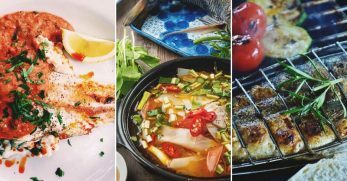 Whether you like your potatoes smothered in bacon and cheese, wrapped around a piece of fish or as the yummy base of a soup, there really are so many different things you can do with them. 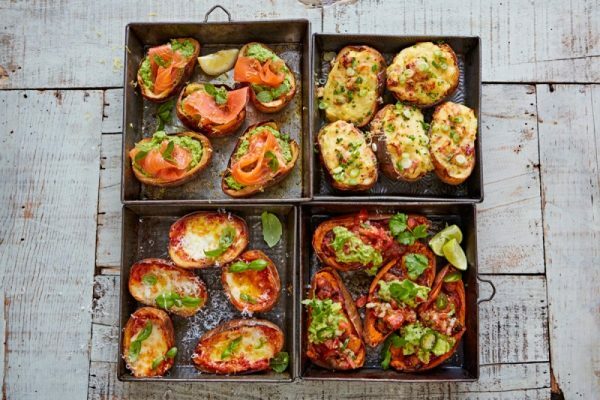 The recipes I am most desperate to try out are definitely that loaded baked potato casserole, the autumnal potato and pumpkin soup and my favorite patatas bravas. 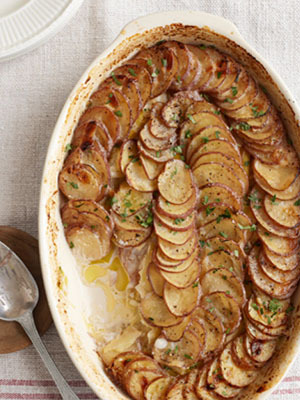 What are your favorite recipes to make with potatoes? 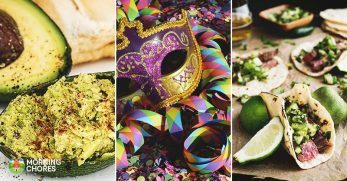 Are there any recipes on our list that you hadn't heard of before and are now dying to taste?